This exclusive Yanlu collection is brought to you with our long standing tradition of high quality original design, fine tailoring and fit. This top quality line has been produced from beginning to end with much attention to detail. All materials used have been carefully selected and tested to ensure the best performance. By choosing Yanlu you are guaranteed to get the utmost in design and in quality. 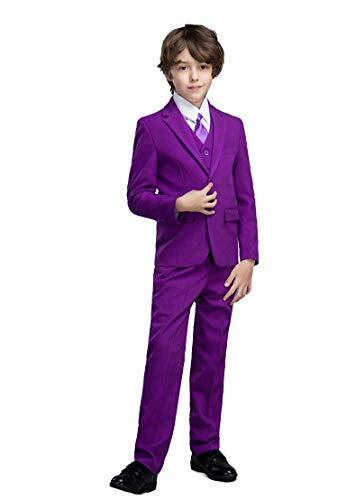 5-Piece Formal Boy's Fuchsia Suit includes Jacket, Pant, Vest, Shirt and Bow Tie. If you have any questions about this product by Yanlu, contact us by completing and submitting the form below. If you are looking for a specif part number, please include it with your message.